The Beach House - walk to First Encounter Beach!! Living area with couch and recliner. 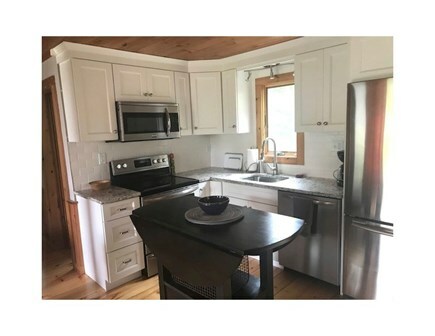 Kitchen in the background. Kitchen to the right, living area and front door to the left. Kitchen island in foreground and working area in background. 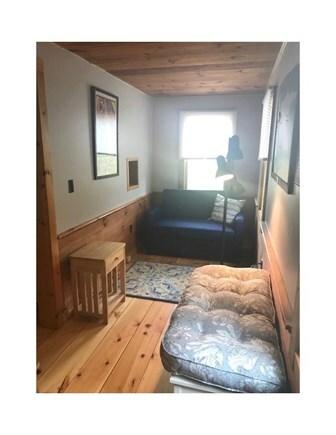 The first floor bedroom has a twin pull out couch. Cable television with enhanced channels for viewing sports games. Bathroom with hi-rise toilet and new vanity to the left. The king size bedroom room with 3 way ventilation on 2nd floor. 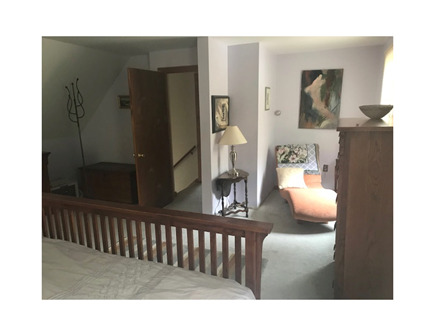 Master bedroom with chaise lounge in the background. 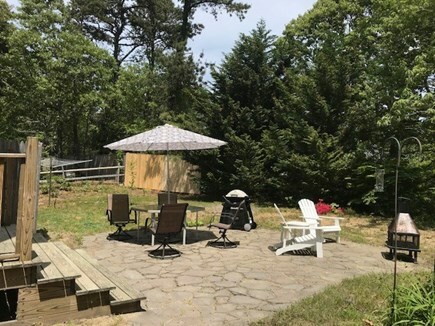 View from the side yard of the patio with amenities. 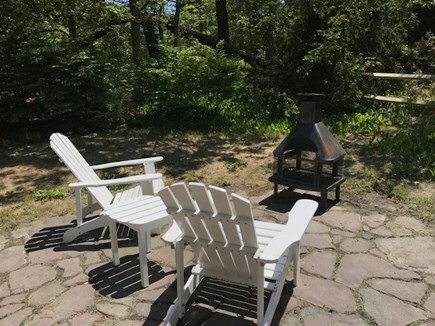 Enjoy relaxing in the Adirondack chairs facing the fireplace. The slate patio provides the perfect setting for eating outdoors. 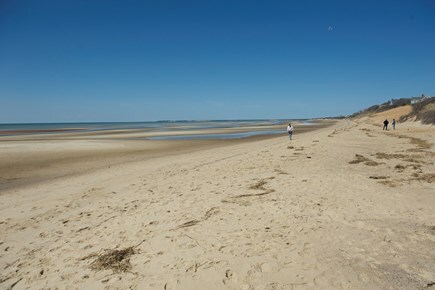 First Encounter Beach - walking distance from the house. 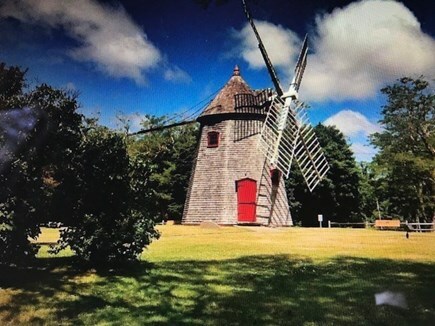 The Windmill - Eastham has the oldest windmill on Cape Cod. 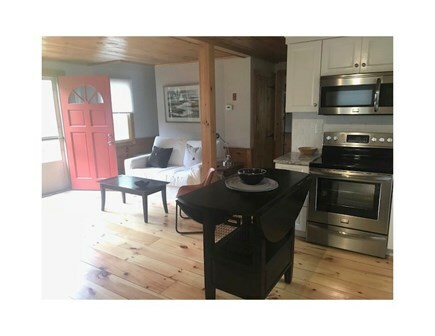 The Beach House - Walk to First Encounter Beach from this beautifully renovated cottage with total privacy for a couple enjoying a getaway (master bedroom with king bed is superb) or even with one extra person enjoying the first floor den with a pull-out twin. 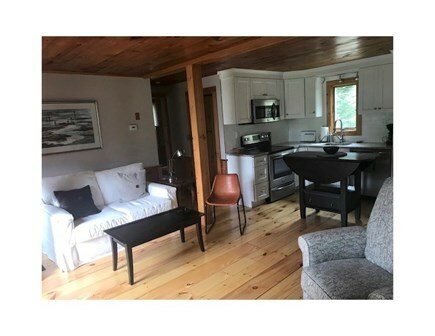 This darling ''hunter's lodge'' with pine ceilings and floors has been renovated and beautifully furnished. You'll arrive to beds made up with clean linens and fluffy towels hanging in the bathroom for your use. There are beach towels, as well. The open floor plan with living room, kitchen and working island make meal time a fun adventure. The white slipcovered couch and coral patterned recliner are waiting for you to relax and enjoy! Dine inside at the unique table with 4 chairs or outside on the slate patio with table, chairs and umbrella. The den has a comfortable navy blue couch that pulls out into a single bed. First floor bathroom with walk-in shower is also here. 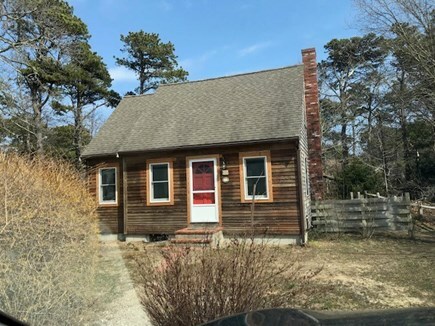 But, you'll love the outdoor shower, just a few steps from the back door! 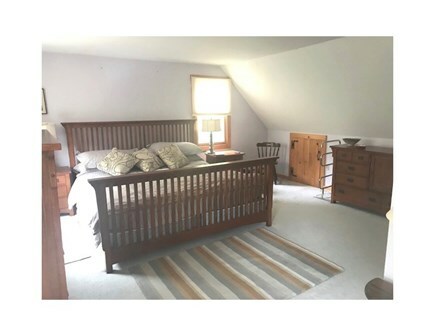 Upstairs is an amazing kingsize bedroom suite and walk-in closet. It's the envy of everyone who stays here. Additionally, there is a comfortable chaise lounge for relaxed reading time. 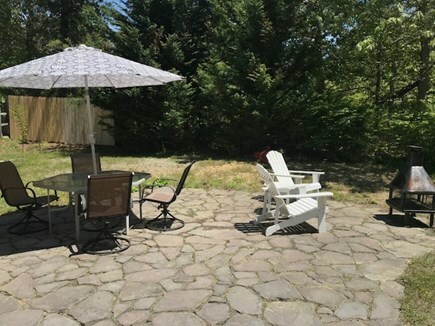 Outside you will love the oversized slate patio with an octagon glass table, umbrella and 4 swivel chairs. There's even an outdoor fireplace to take the chill off the evening if you want to linger in the Adirondack chairs. Through the bilco door to the basement, you'll find a brand new Maytag washer and dryer for your laundry needs while staying at the house. Beach chairs and a cooler are stored here as well. 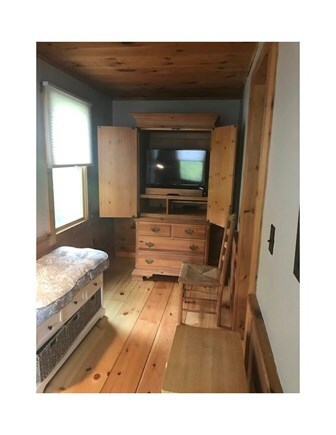 Host is available if needed but offers total privacy to guests. There is a coded lockbox with a key to the house inside. Additional availability info: Available January 5th - May 5th. 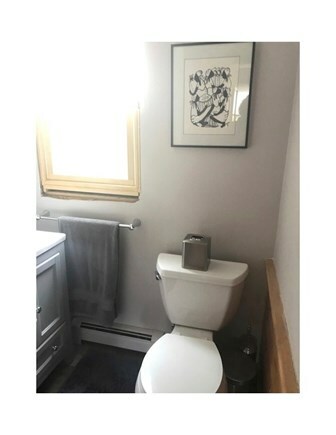 $1500/month includes all utilities. 1st/last/security required. This is a Saturday to Saturday vacation rental. Additional pricing info: Cleaning fee is $100, State and local taxes of 12.45% will apply. This is not a handicap accessible property. Great place, very cozy and warm with good amenities. Very close to first encounter Beach which is a plus!